Losing your computer data is a problem that most people don’t want to encounter, or work through. But whether we want to admit it or not, sometimes our computer’s hard drive loses our precious documents, pictures, and music files. From either a physical disruption or a technological malady, data on a computer’s hard drive is prone to being deleted spontaneously. Instead of getting discouraged when files get damaged or deleted, it’s much better to prepare yourself by acquiring a hard drive recovery software. Recovering your hard drive’s data is actually easier than you’d expect and is better for most people than buying a new hard drive. 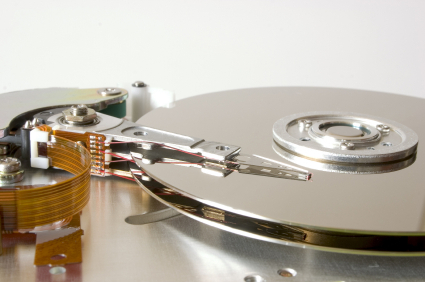 The price for most commercially offered hard drive recovery software ranges between $50-$80. Some software may be priced as high as $129, though the median price range is about $60. Compared to buying a new hard drive, which may cost anywhere between $75-$200 (depending on the make and model of the new piece of equipment, or how much data the new drive will store), recovery might be a cost effective answer. However, do not discount the cost of your lost data and the potential cost of replacing lost music and video files. In this light, spending approximately $60 to recover the data on your hard drive is a fairly small cost. Much like any piece of supplementary software, hard drive recovery software can be purchased anywhere office supply software is sold, such as Office Max, Staples, and other such retailers. Furthermore, electronics outlets such as Circuit City, CompUSA, and Best Buy should a section completely devoted to this type of recovery software. Online retailers such as NewEgg, TigerDirect, and Amazon.com have hard drive recovery software readily available for purchase by small businesses, large corporations, and personal users. Though there are numerous brands of hard drive recovery software, a few shining examples stand out from the pack as the premiere solutions for those wishing to restore computer data. Symantec’s Ghost Software is from the same developer of the popular anti-virus software, and their data recovery solution works just as expected. It is compatible with all current versions of the Windows operating system, though no version is offered for any Apple computer. Ghost comes with the option to backup data on an external device on the computer’s network, and many reviews have commended it on its ease of use and speed of data transfer. DT Utilities Digital Rescue is another well-known brand that is also compatible on all versions of Windows and is praised for its generally-simple user interface. This software is well known for its ability to not only recover files from a computer’s hard drive, but also encrypted files, compressed files, and emails. Modestly priced at $50, this software solution can recover data from hard drives that have suffered loss of data from viruses, power outages, disks that cannot boot, and disks with bad sectors. DT Utilities Digital Rescue is compatible with all types of commercial hard drives. Finally, Data Rescue 3 is a popular software because there are both Windows and Macintosh compatible versions of the software available on the market. Both version are relatively easy to use and boast a relatively fast rate of recovery. Data Rescue 3 differentiates itself by having a dedicated support staff that is ready to answer any questions either over the phone or online, giving you more guidance while you work to restore your precious data. Furthermore, Data Rescue 3 has an integrated search function that lets you recover specific files from the library of files that is or has been stored on your computer.